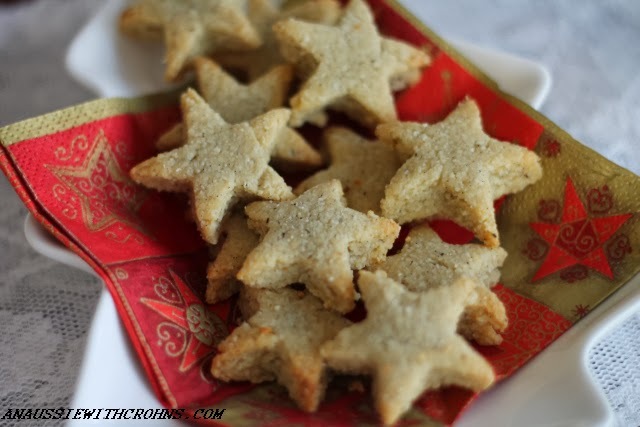 When I grew up, I started making my own shortbread for Christmas. 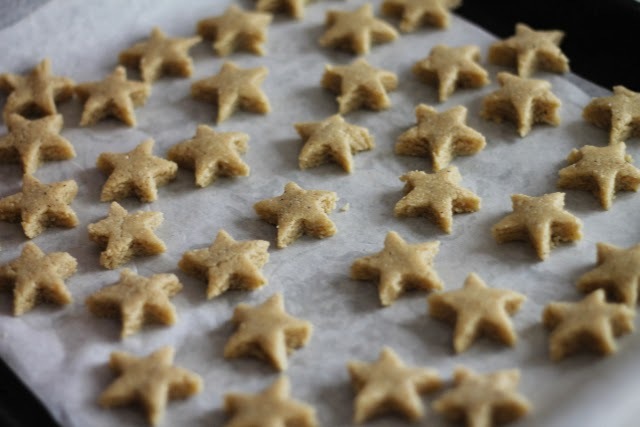 My specialty was shortbread cut into the shape of stars or hearts and then dipped in dark chocolate. Amazing! 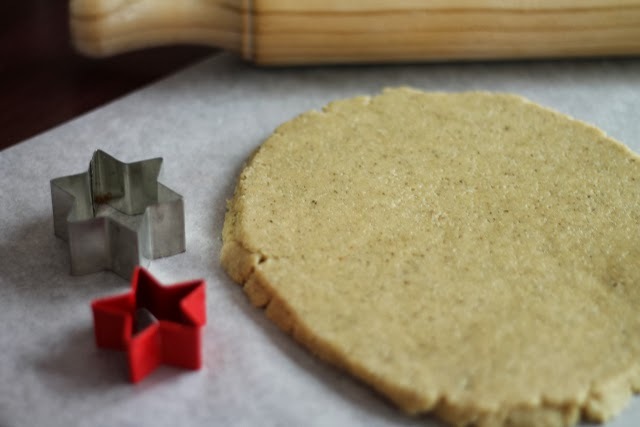 Now I no longer eat all of the ingredients in traditional shortbread, I've been on a mission to see if I can recreate it with ingredients I can eat. So I've got a couple of versions for you this week. This one uses almond flour, and I'll post the other using just coconut flour in a couple of days. Mix flours and vanilla powder together in a bowl. Melt coconut oil and cacao butter in the microwave. (I do these separately). Add the melted oils and honey to the dry ingredients and mix well. Put in the freezer for about 15-30 mins to firm up a bit. Roll dough between two pieces of baking paper until about 1/4 inch thick. Place on baking paper on oven tray and bake for about 6 minutes until lightly browned. Deb, I just found your recipe when I searched for paleo shortbread. These look delicious! I do have a few questions. What is vanilla powder? I don't think I've ever seen it here in the US. Could I substitute vanilla extract? If so, what is the conversion? My other question is about the shape. 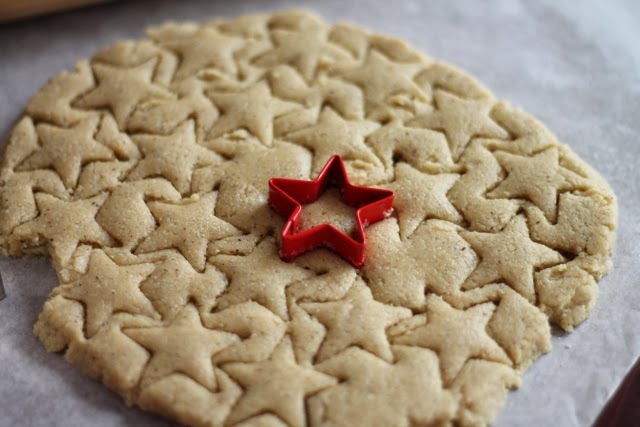 Would it work to shape the dough into a log and then slice the cookies into rounds (or rectangles)? I am lazy and generally prefer not to roll and cut cookies. Thanks! I love these cookies. So simple, but so good.